Sunward Steel delivered a prefabricated mini storage building to Gates Repair & Machine in Barry, IL in January of 2005. Ron, Owner of Gates Repair and Machine, needed a metal storage building to offer storage services as part of his business. Since 1988, Ron has helped residents of Barry, IL with auto repair and vehicle maintenance. When Ron decided to expand his business, he called Sunward Steel for help. Sunward was able to provide a cost-effective solution for storage. Purchasing a prefabricated building saved Ron a ton of money on traditional building costs. Sunward Steel designed a custom 24’x80’x9.5’ storage building for Ron and his customers. The facility has a misty grey exterior and a galvalume roof. 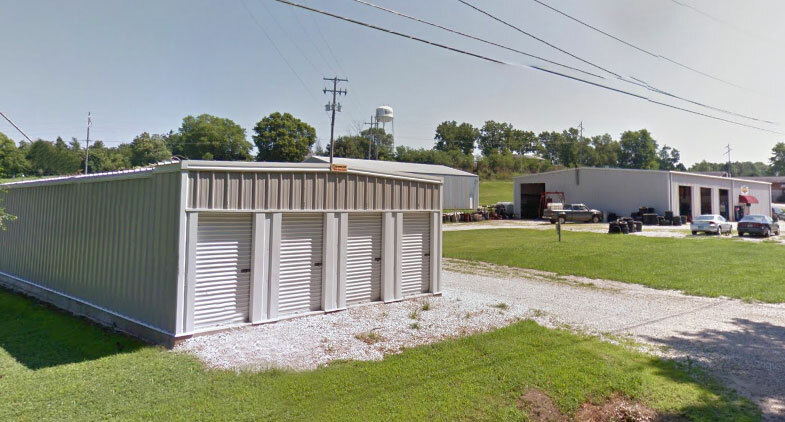 With eight 4’x7’ mini-storage framed openings and six 9’x8’ openings, the building has plenty of entries for storing tools, equipment, supplies, and other materials. You’ll find Ron and Gates Repair & Machine at 134 Smith Street, Barry, IL 62312. Considering purchasing a pre-engineered metal building for commercial or industrial use in Illinois or another part of the country? Click here for a price quote.